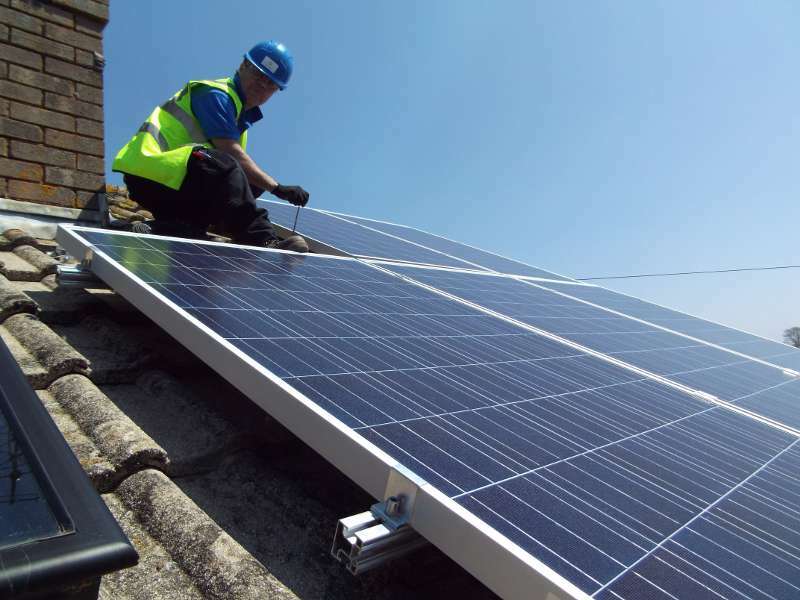 A solar PV system fitted onto your building, either on your home or on a business environment, still remains a very commercially viable proposition, in spite of recent reductions in the Feed-in Tariff. We can design and install systems from as small as 1.5kW, that could be required to meet your SAP calculations on new build housing, or larger systems of 150kW on process or commercial installations where there is a greater power demand and export potential to the national grid. 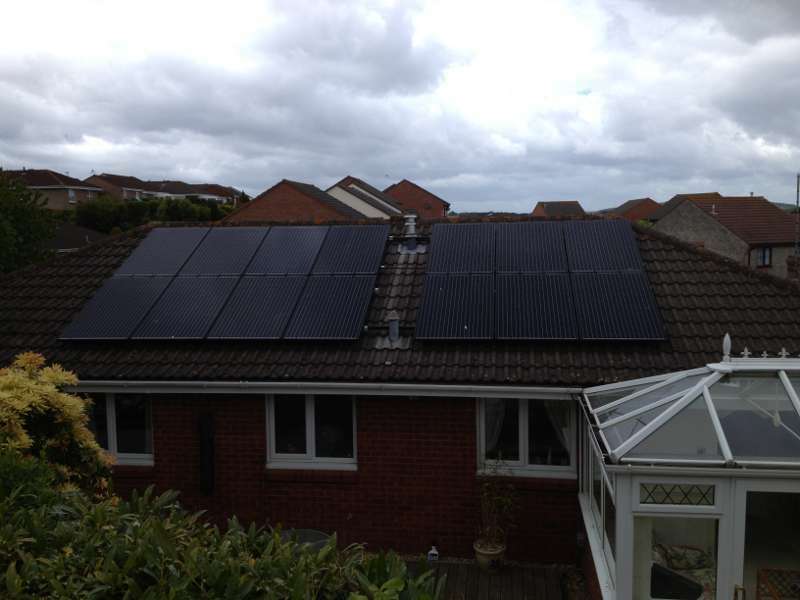 A PV system will reduce your electrical energy consumption and your carbon dioxide emissions quite considerably, depending upon the size and the space you have available. Whether installed as a retrofit system or during a new build we can design and install either an “on roof” or an “in roof integrated” system that will help meet your energy needs and earn you money. In basic terms, solar PV modules, or panels, convert the sun’s rays into electrical energy in the form of direct current, called DC. This is not usable in this form in most UK properties, and is therefore converted into the usable form which is alternating current, called AC, by passing it through an inverter. The AC electrical energy can then be used in the property to power your equipment and appliances, or exported to the electricity grid for use elsewhere, via your consumer unit or distribution board. This is a very simplistic explanation of the process, so if you are seeking a more technical description then we suggest that you visit the many independent sources of information available on-line where there are animations, drawings and documents explaining exactly how the systems work and integrate with your property’s electrical installation. Try the SMA Inverters web-site and look for the life shines brighter logo where you can see a user friendly animation of a PV system on a dwelling showing how it works. SMA is our first choice manufacturer of inverters and we generally use these in our quotations. Although they are more expensive, we have found that you get what you pay for in this world with better performance, reliability and service when you need it most. 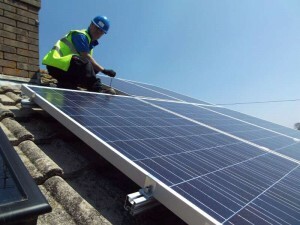 We are actively involved in the SMA solar academy advanced installers programme to improve our installation service for the benefit of our customers. 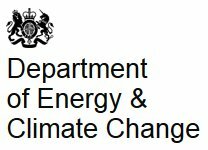 The Department of Energy and Climate Change (DECC) website is awash with information about energy matters and there are interactive pages to engage with on energy conservation. You can find out about all the incentives and payments available for renewable energies, plus there are links to the relevant areas of Ofgem. The Energy Saving Trust website – follow the links to energy generation. A good site with supplementary info on Feed-in Tariffs, the RHI, EPCs and energy saving matters in general. Take a look at the carbon footprint calculator, this might shock you into action!!! There are many Solar modules or Solar panels, as they are more commonly called, available in the marketplace and there are many variations in outputs, efficiencies, sizes, colours you name it! Just to give you a flavour of this, but not to dwell too much on the finite details, we have summarised some of those available by type so the main differences are apparent and may help you with your personal choice or selection? 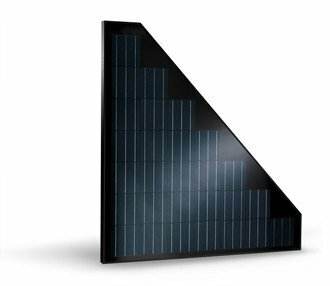 Mono-crystalline modules are generally black in appearance and probably the best looking, they blend well with roof coverings, particularly slates, and are very popular for the more discerning customer or where the buildings aesthetics are critical. The benefit of this is that a better looking installation could make a future property sale easier in this respect, however they do tend to be a little more expensive. If you fancy something a bit different then how about some Bisol made high quality modules? These are available in a range of colours from purple to rustic red and even olive green. There very apt and quite pretty in the right location. A bit pricey though, as you might imagine, compared to simple polys! 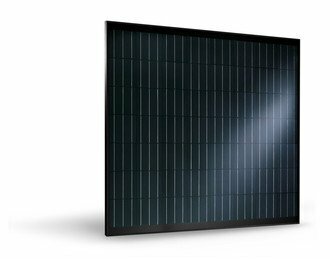 Take a look at Bisol’s website and follow the products to the PV spectrum range. There are triangular shaped modules available, made by Trienerga, that are perfect for those rather awkward shaped roofs where normal rectangular modules don’t fit or look right and energy producing roof space is lost. The combination of the Trienergia square and triangular modules can fill some rather tricky roof shapes. Have a peek on the Trienergia website. 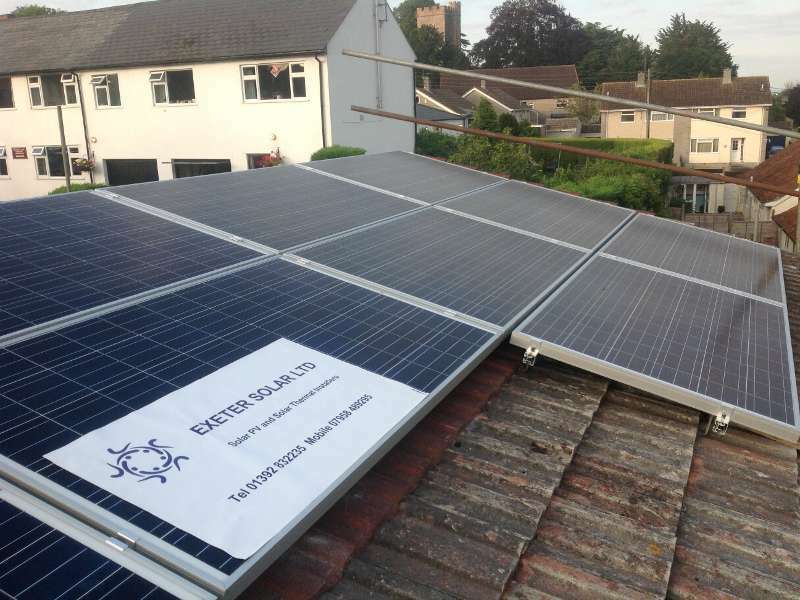 Poly-crystalline modules are normally blue in colour and mostly have a silvery / aluminium coloured frame so you can identify them quite clearly. In general terms they don’t match the colours of traditional building roofing tiles on houses but fit in better on commercial buildings. They are available from most of the major manufacturers and tend to be a cheaper more affordable solution, particularly on larger schemes where room is less critical. 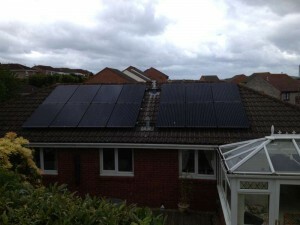 Your solar PV Quotation, what you can expect! Following our survey and discussions, at which time the size and location of your array will have been determined, you will receive a detailed quotation from us produced in accordance with the Renewable Energy Consumer Code (RECC), which is fully endorsed by trading standards, so you should have complete confidence that your interests are safeguarded. The price for the works including a transparent schedule of the materials, labour and the activities that are included or excluded from the works, in accordance with the RECC code. Details of the design and the predicted output of the system in kWh per annum, all calculated in accordance with the current Microgeneration Certification Scheme standards documentation. You will provided with all the technical data sheets for the PV modules, the mounting system to be used and the inverter, all of which you can study and compare against your other quotes for quality and performance. A summary of the calculations showing the estimated earnings you are likely to receive from the Feed-in Tariff, in addition to the savings you can make on your electricity bills. An estimate of the payback time based on the predicted earnings and the cost of the system. A schedule of payments, as suggested by RECC, so you can see that what you are paying is based on the value of works done or goods supplied for the installation. Details of the warranties for the goods supplied and workmanship in accordance with the RECC code. Information regarding Planning Permission, if applicable, and Building Regulations.